When I was a kid sometimes I felt like inanimate objects had personalities and feelings. I guess I just read and watched A Little Princess too much, because if I realized that I’d been neglecting one of my dolls or stuffed animals I’d feel guilty and do my best to make it up to him or her. I thought I was the only one who had this quirk until Mark confessed the same thing. To this day, if he has several pens in his school backpack, he feels a compulsion to use them all equally “so that no one feels left out.” He blames this silly sentiment on Toy Story. I really really really love wearing scarves, and it’s always a bummer to find a scarf that was shoved to the back of a drawer and forgotten for several months. It’s like missing out on the company of a good friend (okay, just kidding). 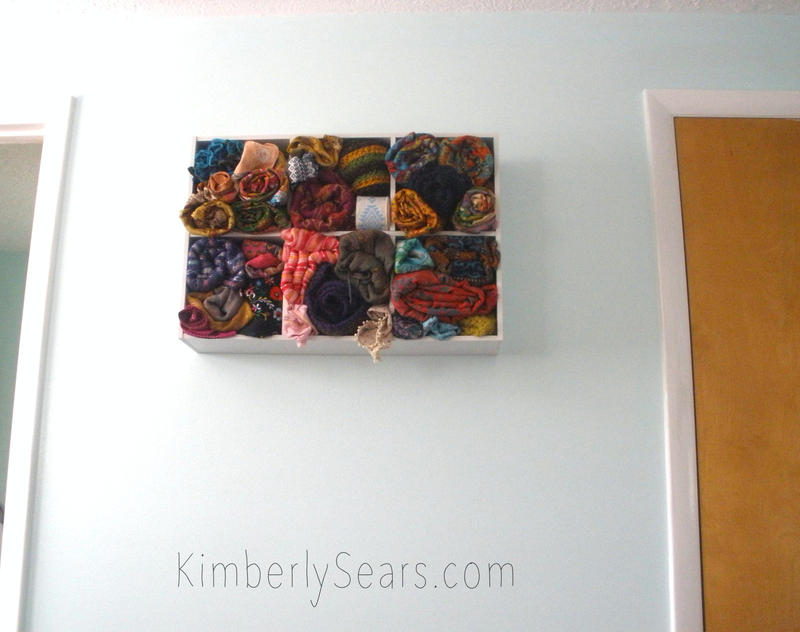 I determined that I wanted my scarves stored on the wall on a shelf where I could see and love and wear them all. 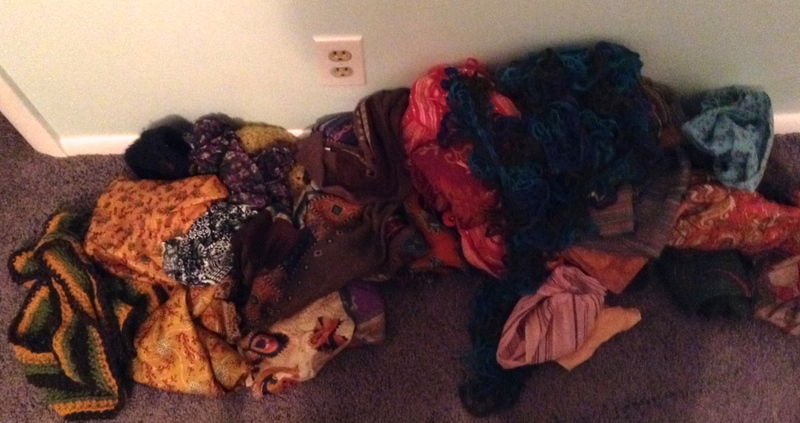 For a time, while I hunted down a shelf, my scarves were all in a pile on the floor. 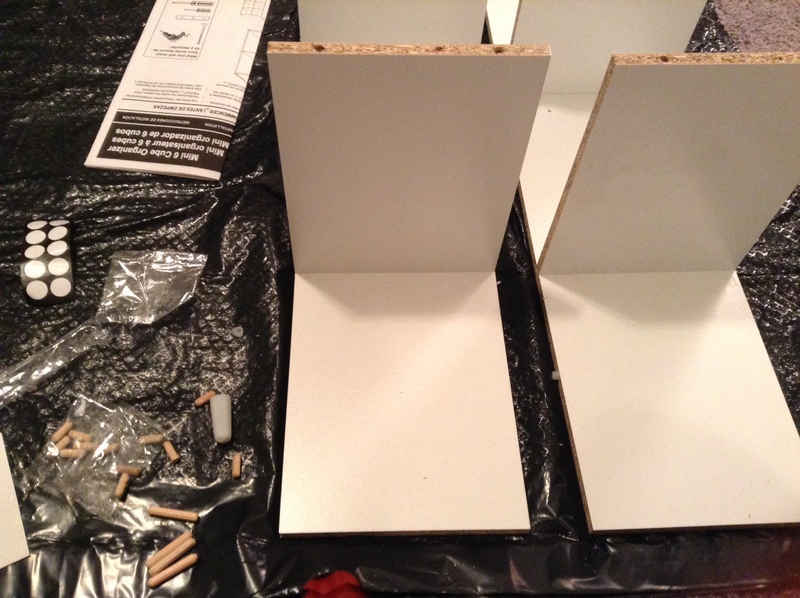 But then I got a cheap shelf from Target. 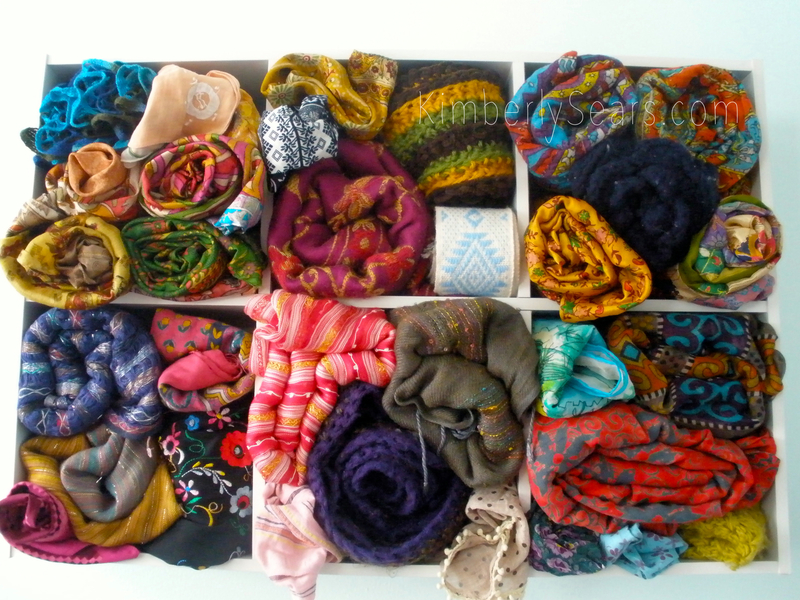 And now my scarves look like this! I noticed that on your wall and thought it looked very chic. Thanks! P.S. We got our flowers all planted so we’ll have to send you guys some pictures soon!